Is there any better way to kill time than with an online gallery overflowing with high-quality images of cars, choppers, and firearms? We didn’t think so. Our American Muscle Gallery Page is fully loaded with more than enough quality images of Mustangs, Stingrays, Z28’s, and other emblems of all-American muscle. We’ve got a wealth of images for die-hard chopper enthusiasts and born-again bikers on our gallery page completely dedicated to your love of motorcycles. Is there any better feeling than being behind the wheel of an off-road vehicle, peeling through the dirt and mud? We’ve captured the glory for you here, on our Off-Road Gallery Page. For the classic car fanatics and hot rod hounds, we’ve supplied you with a fantastic collection of images you’re sure to enjoy, including one of a 1929 Ford A Murray Town Car. 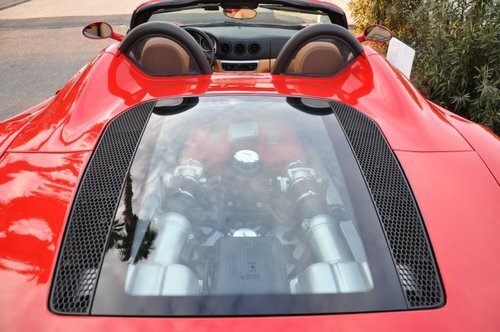 Browse our collection of sleek luxury vehicles and exotic imports on our Luxury and Exotic Gallery Page. Revel in these charming models and impressive internal work. Our Firearms Gallery Page is locked and loaded with high-quality images of an assortment of ceramic coated firearms and essential equipment. For a chance to be featured in our gallery, click here to send us info on your Jet-Hot project.